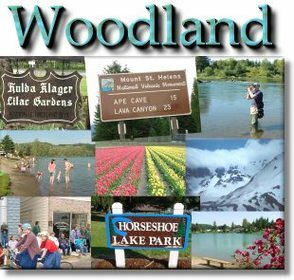 Incorporated in 1906, the City of Woodland, located 20 miles north of Vancouver, Washington, is the southern gateway to Mt. St. Helens. 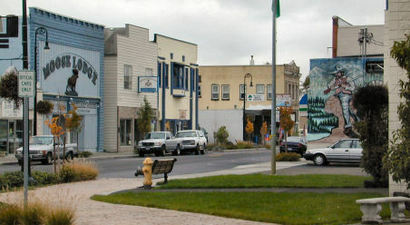 The city is located in both Cowlitz and Clark Counties. This growing community, with a population of 5,135 is located at the junction of Interstate 5 and State Highway 503. The greater Woodland area has a population of over 10,000 persons. Woodland is home of the famous Hulda Klager Lilac Gardens and the annual celebration of The Lilac Festival. From the last week of April through the first week of May, the Klager Museum is open to the public. Woodland is also known for Planter's Days, a celebration of pageant that commences with the coronation of a Planter's Day Queen. 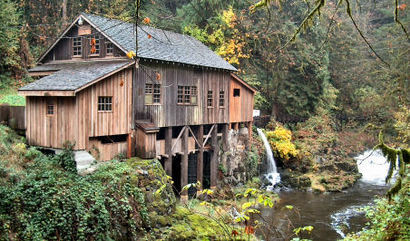 The celebration is the oldest of its type in the Pacific Northwest and reflects Woodland's passion for tradition. Woodland is a city in Clark and Cowlitz counties in the U.S. state of Washington. Most residents live within Cowlitz County, in which the majority of the city lies. 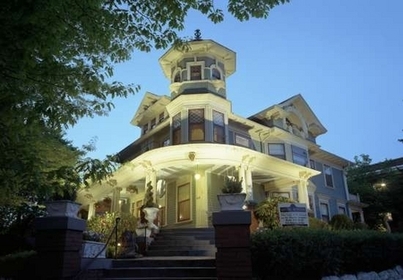 It is part of the 'Longview, Washington Metropolitan Statistical Area'. The population was 3,780 at the 2000 census. Woodland uses the 98674 zipcode. 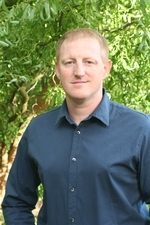 Click here to see the homes for sale in Woodland, Washington.